As I write this, I'm sitting in a cozy grey chair at the Solstice Yoga studio, with a mug of organic hibiscus tea in my hand. The room like liquid sunshine (thanks to a saje diffuser) and there is soft calming music playing in the background. Solstice has thought of how to use all 5 senses to facilitate calm...and I'm just in the lobby. 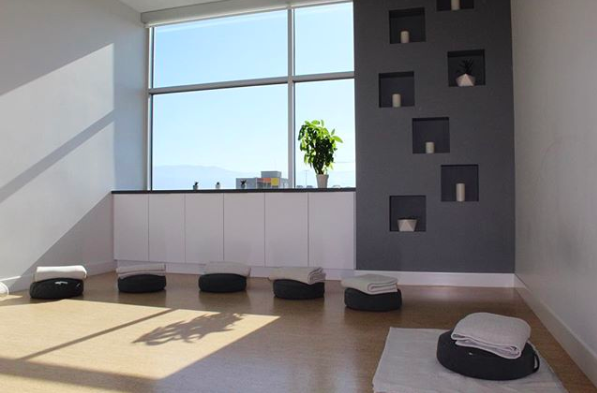 For the month of November, Solstice Yoga hosted a 30 day meditation challenge. For just $35, you were given access to unlimited meditation classes! It seemed too good a deal to pass up, so I joined. Plus, there was the mystery of surprise prizes for folks who attended 5, 10, or 15 classes and I can’t say no to potential prizes, even when I don’t know what they are. Mediation and I have an sporadic history. I've always seen the value in practicing mediation, but I have never meditated consistently. I went to a few guided meditation classes in Vancouver, but they were expensive ($20 per session) and not very close to my home or office. I also tried the app HeadSpace, but I found it hard to create an environment free from distractions to use it and also struggled to schedule it into my day. With Solstice meditation, none of those barriers applied; it was convenient, affordable, provided the perfect environment, and was scheduled into my day at a convenient time (8:30, 11:30, or 12:30). For the first time ever, I have been consistently mediating for a month! How cool is that? The sessions themselves have been wonderful. Sitting in a warm room with blankets and pillows, I get comfy and cozy and prepare for 30 minutes of stillness. Then Megan or Natalie guides me through a mindfulness practice. It does not mean that my mind doesn’t wander, or that I don’t get distracted, but I am at least turning off my phone and devoting time to self care for 30 minutes 4 times a week. Now what you’ve all been waiting for...the results. Am I a whole new person? Am I vowing to mediate every day for the rest of my life? In short, no. BUT I have tools in place to slow my breath when I get anxious, I have a newfound appreciation for mid day brain breaks (and how they increase afternoon productivity; goodbye 2:00 energy slump), and I am happy to say that I will continue to attend meditation classes! Self-care can look like a lot of things, and guided meditation is one great option. 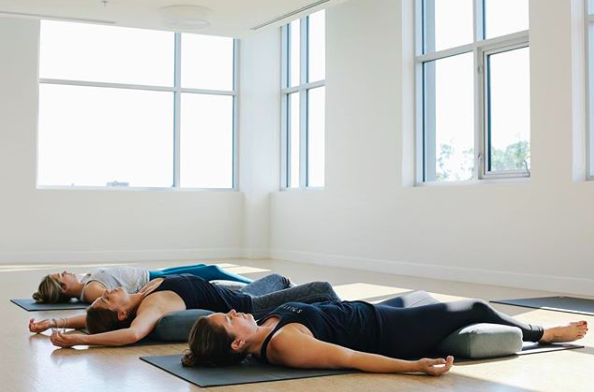 If you’re interested in trying Solstice Meditation, you can try out a welcome month of unlimited yoga & meditation for $45 or drop in for a single class for $11. 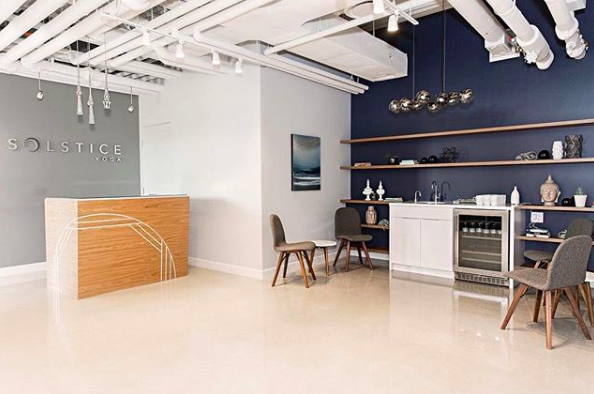 If you’re a tenant of the Innovation Centre, talk to Solstice about your discount.